With three decades of experience and a 5-star rating, Creative Masonry & Chimney is the leading provider of chimney cleaning, sweeping and repair in Bloomfield, Connecticut. We offer a complete range of chimney cleaning, sweeping and repair services. When you hire Creative Masonry & Chimney for a job, rest can be assured that an expert technician will be sent for a specific job. This means you will always get an experienced mason for masonry work and skilled cleaner for chimney cleaning. No job is too big or too small for Creative Masonry & Chimney. 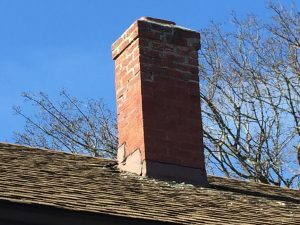 When you require best brick and mortar repair for your chimney, you get the best quality chimney repair service in Bloomfield, Connecticut only by Creative Masonry & Chimney. Our highly trained technicians are fully committed to the health and safety of our clients. Once you have Creative Masonry & Chimney for your chimney repair, you can enjoy your fireplace with complete peace of mind. A clean chimney is considered a safe chimney and nothing is more important than the health and safety of your loved ones. Chimney cleaning is essential for the health and safety of your family and protecting your house from the risk of fire damage. Therefore, we recommend you to hire our skilled and trained chimney technician for efficient chimney cleaning and sweeping. Chimney cleaning helps remove soot and ash deposits from your chimney lining. Our routine chimney cleaning services in Bloomfield, Connecticut allows you to keep yourself and your family sage. When you need your chimney cleaned, our seasoned chimney technicians bring a collective 30 years of experience in efficiently removing all the dirt and grime from your chimney. requirements and ensuring the complete safety of your home and family. recommend stove cleaning at least once every year. We carry proper workers compensations, general liability insurance, and umbrella policies and our clients enjoy a 100% stress-free chimney cleaning and repair services in Bloomfield, Connecticut. To ensure the complete satisfaction of our clients we offer outstanding customer services. Do not wait for winters to be around the corner and book us for your chimney inspection now. For all your needs for chimney cleaning, sweeping and repair contact OSHA certified and licensed Creative Masonry & Chimney today.